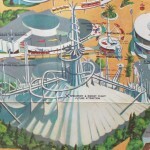 Ever since 1958, Disneyland has been enlisting artists such as Sam McKim to create park maps used around the park to help guests find their favorite attractions and for the press to review them. 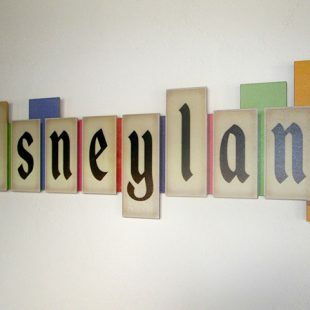 But a less common use for these works of art was to print large format posters for children to purchase at Disneyland for hanging on their walls at home. 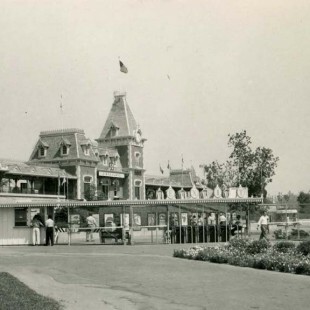 The first park maps created were also used as advertisements and would usually contain attractions and park areas not yet built and sometimes things that never were. 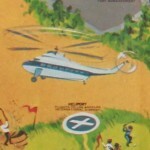 Such is the case with the 1968 version shown here. Click here to view the map in full size. Haunted Mansion – The year of this map is 1968 and although the outer shell of the Haunted Mansion had been standing in Disneyland for 5 years by this time, Walt’s involvement with the 1964 World’s Fair and his eventual death in 1966 postponed the opening of this attraction to the summer of 1969. Walt’s original idea for this attraction was a walk-through experience, but was later changed to a moving attraction to help with ride capacity. 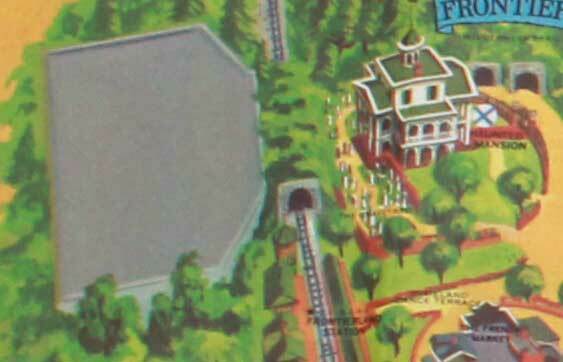 On this map, you can see the building facade as well as the unmarked show building to the left. This building is located outside the park berm and the stretching room elevator is used to take guests underground and into this building. Space Mountain – Although Space Mountain didn’t open until 1977, it had been in development since about 1966. Interestingly, Space Mountain debuted at Walt Disney World in 1975 after the success of Disneyland’s Matterhorn (which would not fit in Walt Disney World’s Fantasyland) and two years later, Space Mountain at Disneyland was built due to its success at Walt Disney World! 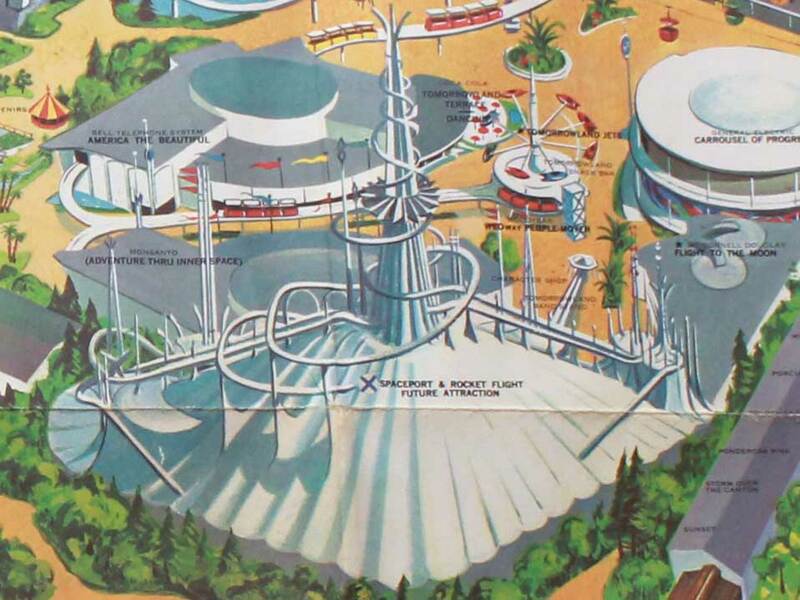 On this map, you can even see that the “future attraction” was to be known as Spaceport & Rocket Flight. 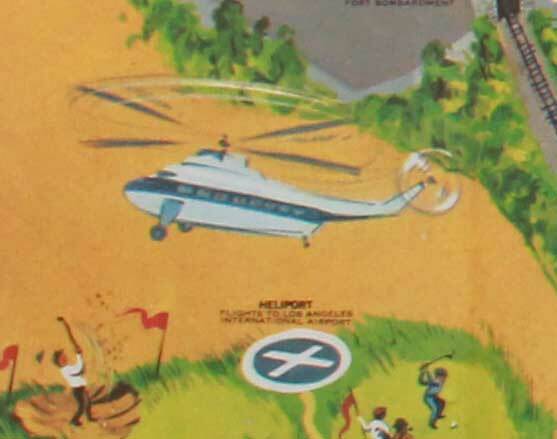 Heliport – The heliport outside of Disneyland was moved to its third and final location behind the Disneyland Hotel. Originally it was located to the right side of the park and during its 15 year operation, guests could enjoy 15 minute flights from LAX to Disneyland and back. It closed in 1970 after a number of fatal accidents. 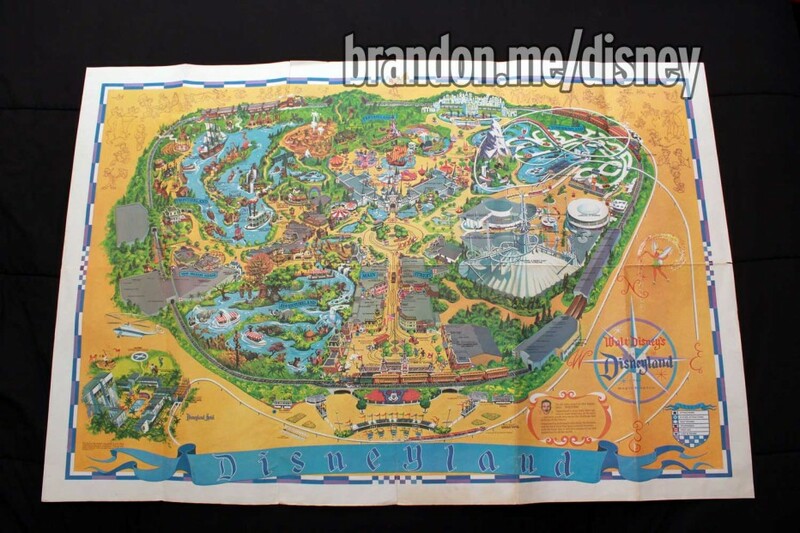 Park maps such as these are commonplace on sites like eBay. In fact, I picked this one up for about $30. Expect to pay more for earlier versions of the map and keep an eye out for counterfeits! As far as getting new ones today, Disneyland tends to sell them every few years unless there’s a special edition such as an anniversary or something. In the past, you could get these posters in a rolled format or folded, but now they appear to only be available folded. 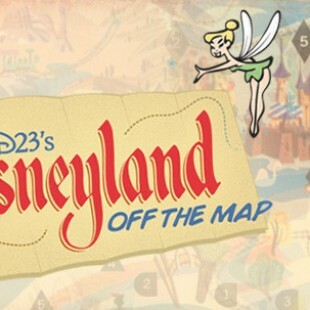 To learn more about all of Disneyland’s map posters along with a collection of photos from each incarnation of them, visit MouseMaps.com. Disneyland Celebrates 58 Years Today - Happy Birthday!